If you've recently got yourself a Samsung Galaxy S4 you may well have noticed a light from near the top of the phone flashing at you at various times. This light is an LED indicator, or notification light. It's use, as you may have guess is to notify you, the owner and user of the device, of various things. Most of the time the little flashing (or sometimes solid) light is incredibly useful. It makes you aware of something that could well be of importance. Other times however it's a nuisance, a pest and something that is just starting to irritate you slightly (for example it keeps flashing when you're trying to sleep). 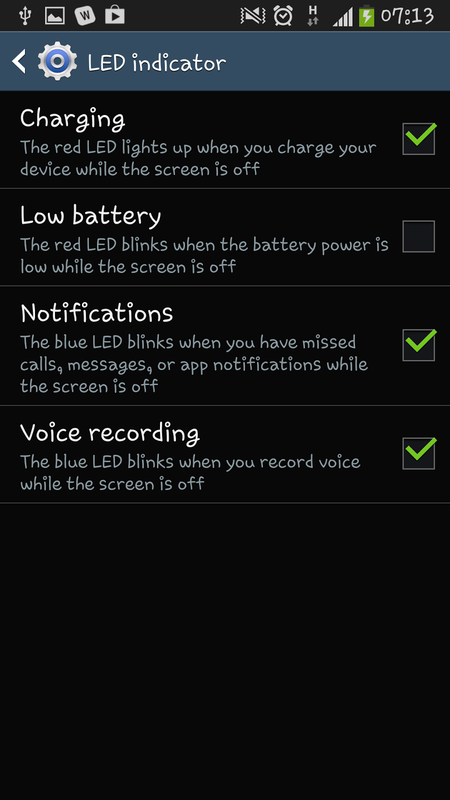 Thankfully the phone has a way to turn the LED notifications on and off at will. 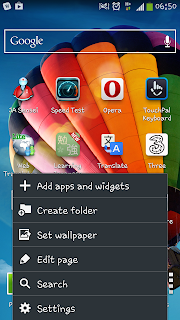 need to start at a homescreen and then press the phone's "Menu" button. From the pop up menu you will need to select "Settings". When you've accessed the "Settings" menu, you will get a screen like the one on the right hand side full of options and with 4 tabs along the top. From this screen you need to select the second tab along, the one called "My device". When you select "My device" you will see a new list of options. 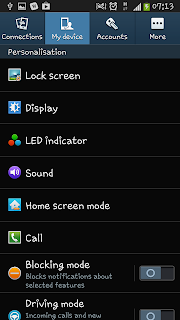 From this list you need to select the 3rd one down ("LED indicator"). The option, as you can see in the screenshot, has 3 circles next to it. 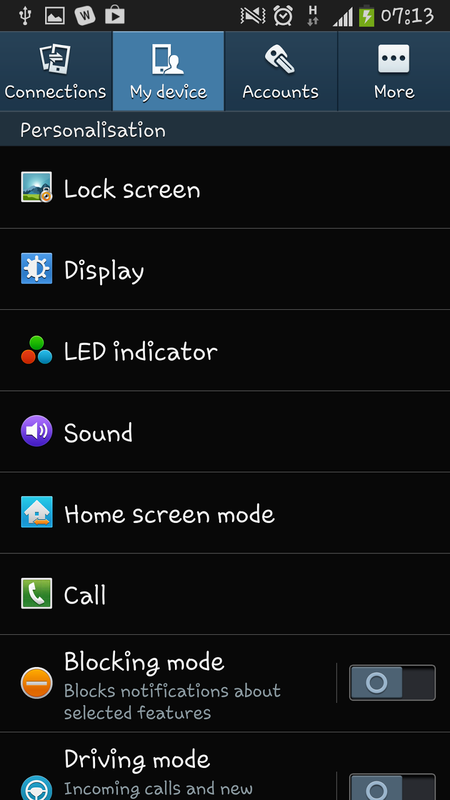 After selecting the "LED indicator" option you will be taken to a new screen with 4 tick boxes and 4 statements. 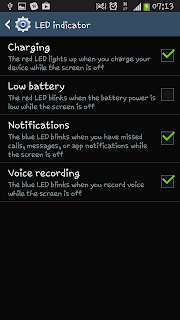 From this screen you can select various situations for when the LED will light up and choose when it doesn't light up. If the box is ticked (as you can see in 3 of the options in the screenshot) the light will flash, if the box is unticked then the light will remain off. This mini option doesn't include all the possibilities for when the indicator will flash but it does include the main "system" ones. You can then go in to certain apps (i.e. 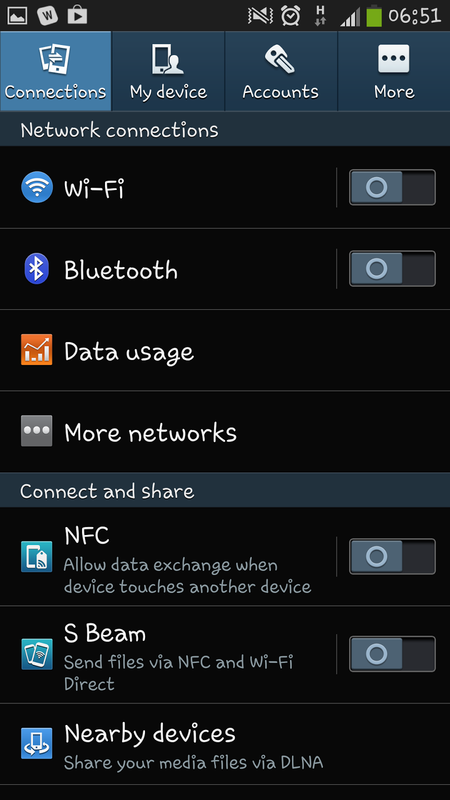 Kik or Facebook) and choose to turn them off from their as well.